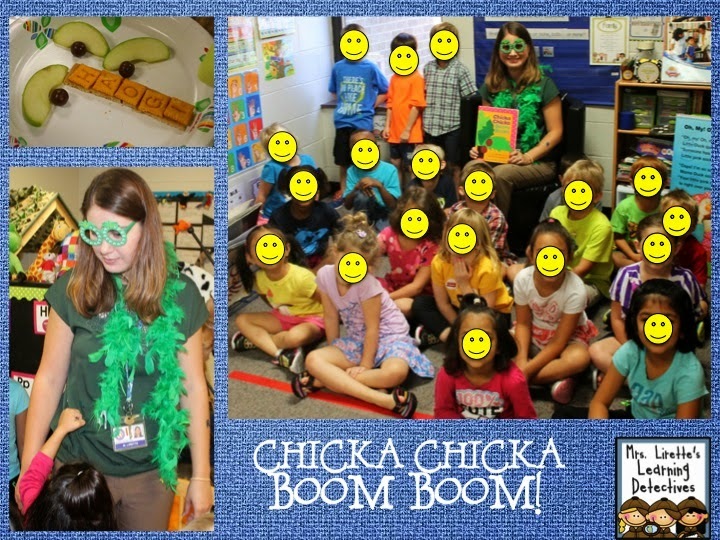 Bill Martin Jr.'s Chicka Chicka Boom Boom is a must read for the start of kindergarten, don't you agree? I realize many preschool programs cover this story nowadays but I still think it is a great book for introducing and/or reviewing the alphabet. Each year it seems to me that my new bunch of children enjoy the story more and more. Maybe it is because it is familiar to them. Maybe it is because they get into the rhythm of the words. 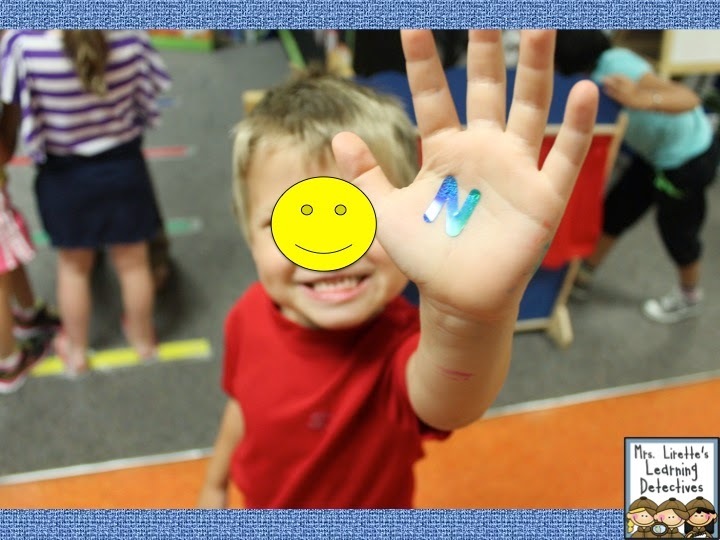 Maybe it is because I allow them to decorate me with alphabet stickers. 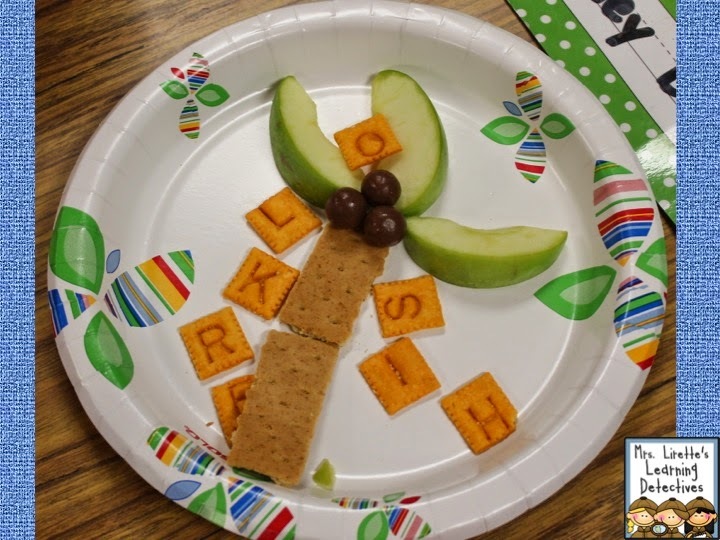 Either way this is a must for those first few weeks of K.
LOVE the poem you wrote to go along with the activity! Great for the beginning of the year! Thank you for sharing! I totally agree this book is perfect for the beginning of the year. 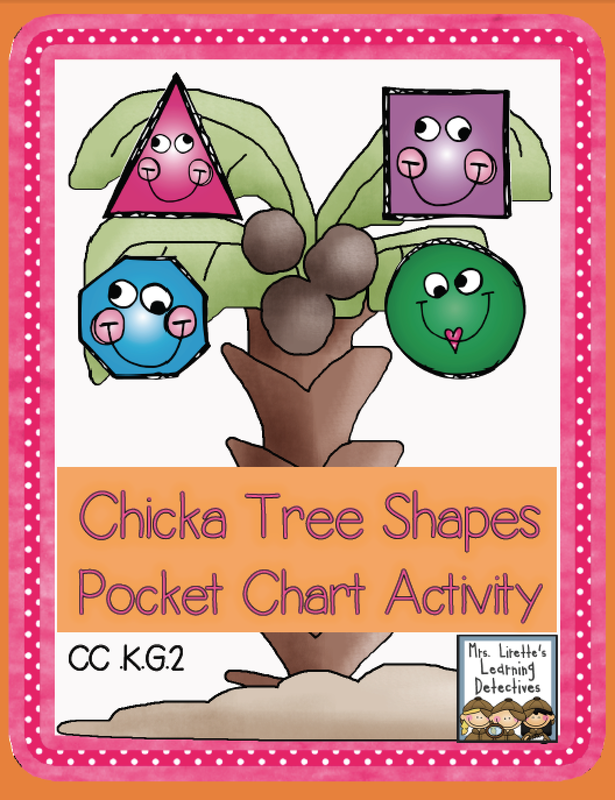 Thanks so much for the pocket chart freebie! It will make a great addition to my unit.